Quality meets casual. The Riedel Stemless O Wine Glasses are the newest revolution in glassware, glassware without stems .... stemless wine glasses. The designs of "O" are based on the benchmark shapes of Riedel Vinum. Casual yet elegant, these wine glasses are appropriate for fine wine enjoyment as easily as casual sipping. The wine glasses were designed to fit into a dishwasher and fine-tuned to enhance the pleasure of your favorite wine varietals. 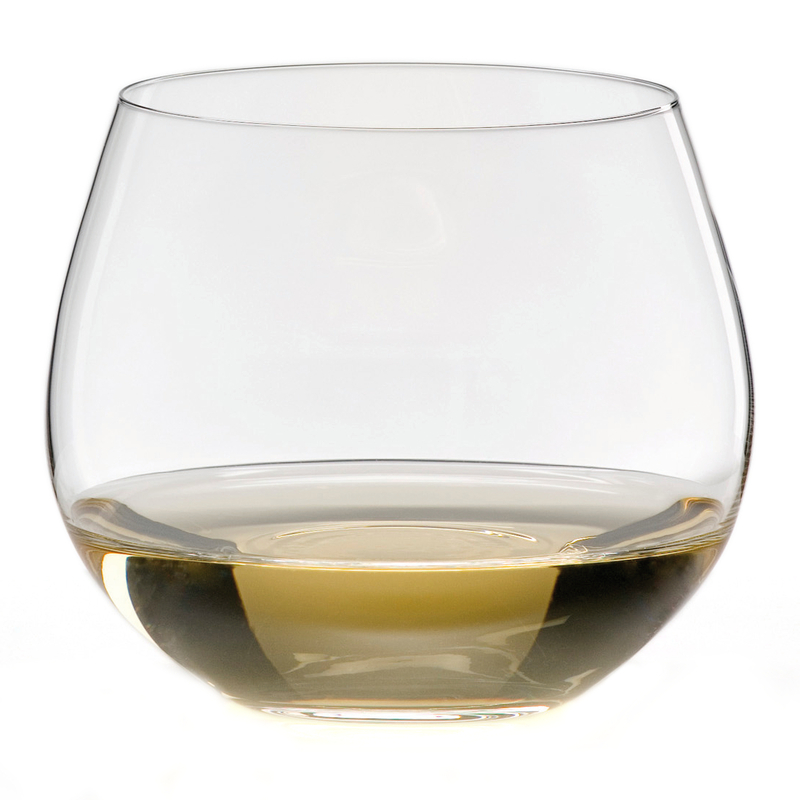 In keeping with the Riedel glassware tradition, these wine glasses have become the benchmark for stemless glassware. These "O" Champagne Glasses are recommended for Chardonnay. Machine made entirely of lead-free crystal and gift boxed in as a set of 2.